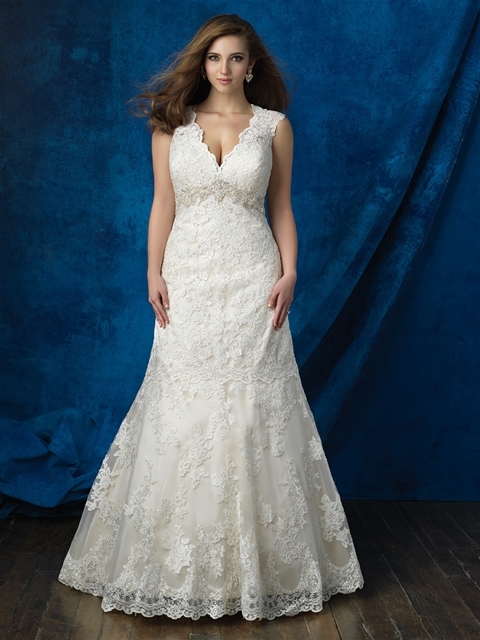 The Allure bridal collection believes in the details-beading, floral appliques, dramatic backs, and perfect draping. Every gown features details to set it apart and make the bride shine. Beaded lace, English net, and rich satin compose gowns that are nothing but glamorous. The Romance Collection is filled with timeless silhouettes and exquisite detailing, it’s the perfect collection for a bride looking for something elegant and feminine. The Romance Collection is inspired by the wealth of textures found in tulle, embroidery and lace. The Couture Collection is inspired by figure flattering drama and exquisite high fashion. These glamorous dresses are dipped in Swarovski crystals and are complimented by beaded appliques. The Women collection is a flirty and feminine line which has been mindfully designed with the plus size bride in mind.